Merryl's Mosaics is Open on Monday 22 April 2019 from 10 am - 4 pm and Thursday 25 April 2019 from 10 am - 4 pm for children and adults. Hope to see you here! 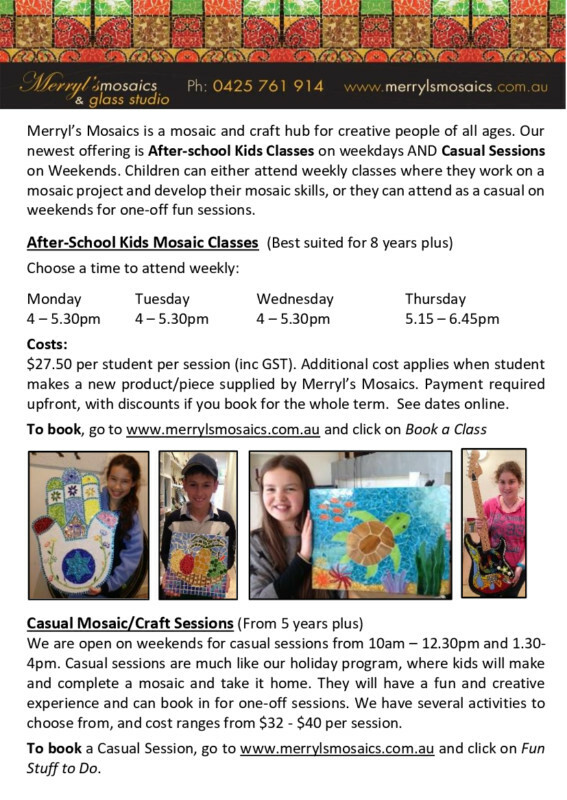 Call 0425761914, text, email merryl@merrylsmosaics.com.au or click on Holiday Program to book in. It’s that time of year again, School Holiday Program Time! After-Schol Kids Mosaic Classes! Sign up now! 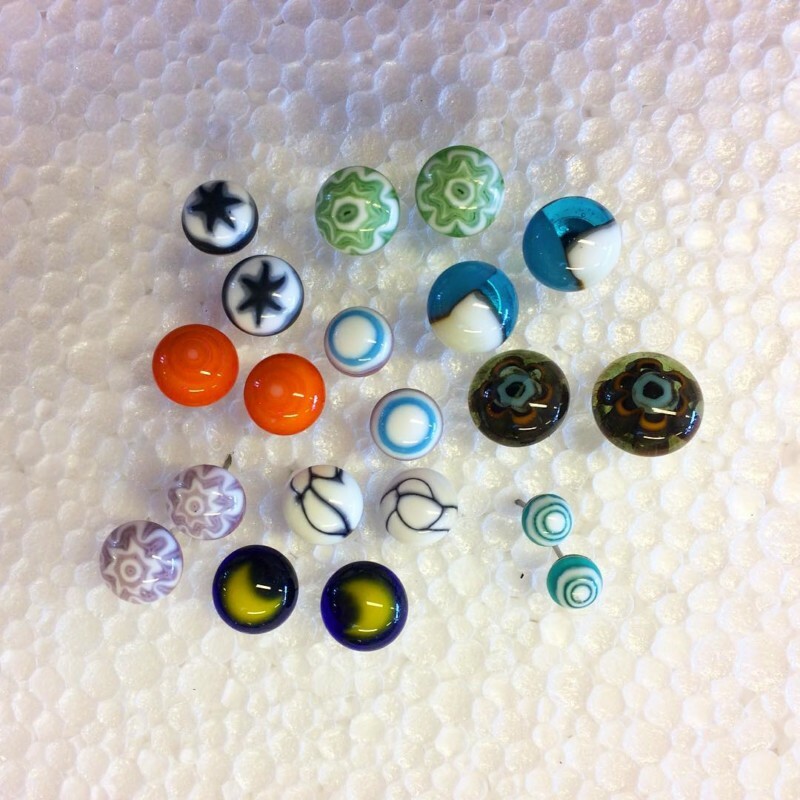 BEAUTIFUL NEW FUSED GLASS JEWELLERY FOR SALE!